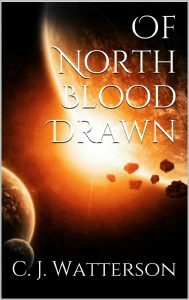 Of North Blood Drawn | "Hope, when History Cries Death"
An epic new Science Fiction-Fantasy adventure. Ancient prophesy clashes with devastating High-Tech warfare. Born without telepathy, Magen Agasan is exiled by his people, the mythical “North Ice-Islanders”. He becomes ensnared in a long-running interplanetary war. A dark shadow dogs his steps. A spy is sleeping. Expect a motley crew, action, romance, witty banter and some provoked thoughts. Seatus is a real place! A newly discovered ‘super-Earth’ 39 light years away could be the best candidate yet for a world beyond the solar system that harbours life, say scientists. Okay, so I’m getting into some decent Sci-fi. I just finished “Do Androids Dream of Electric Sheep?” (aka Bladerunner). So much better than the movie, real noir, tempted to watch the Maltese Falcon again for some brain knots. However I decided to go with Ringworld by Larry Niven, I don’t feel so silly anymore having two planets on the same orbit placed by ancient aliens races with hyperdrive. Dyson spheres Klemperer rosettes and ringworlds are far more improbable, and certainly more exciting. In other news, I finally broke the Wheel of Time and slew the serpent. No more Robert Jordan for me! I only just survived the last battle. I know, I think I said I wouldn’t again, but Heart of the South is back on Kindle Unlimited. If you feel like a re-read, that’s more coffee for me! In other projects a-foot, I will probably do a print edition of HOTS soon and I’m hoping to do an audio sample of Of North Blood Drawn. Some short storys? Two weeks break surely I’ll get something done. What can I say? There are some aspects that seemed quite derivative – or perhaps homage. There are many things that just whisper in your ear “Lord of the Rings”. Definitely a shakey start to the series. It does improve as it goes on, just enough that I decided to read the next book. I think Robert Jordan finds his voice and story. Enough to ensnare me, my course is set on reading the series now. One of the things that persistently annoyed me over the course of the first few books was all the dreaming/visions. Often, you don’t really know what is happening or if it is happening – it sometimes seems like superfluous fluff. The story is good when things are really happening and characters are actually interacting. Liked the Biochromatic breath ‘magic’ system and plenty of likeable characters with a reasonable number of plot twists, puzzles and reveals. The system is not gimicky as you might expect, it really adds to the richness of the narrative without being too tiresome with explanations – though there were a number of scenes I suspected an editor’s hand with some judicious pruning. A little too much of the naive, attractive young ladies running around in their underclothes/nothing – but not distastefully handled and mostly appropriate for the context. Nightblood oddly reminds me of one of Asimov’s robots. 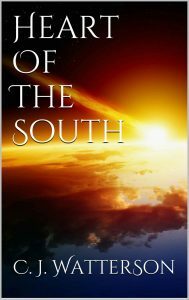 It’s a hots bank holiday, grab your kindle and head for the beach, but don’t forget to load it up with today’s freebie of Heart of the South (HOTS)! Seatus and Es’stus have been at war for over three hundred years. Inevitably, the Seatons – the Defenders – are losing. The High Marshal, commander of Seaton Defence has a solution. It’s a desperate one, that can only end in the annihilation of the Es’stons, or the Seatons, or both. Who cares if it makes economic sense or not – it’s cool! You may have noticed, I’ve updated the website. It may not look quite as neat as the old one, but with automatic updates I can be fairly hands off with the IT side of things – and moreover open to comments! I’ll probably play around a bit more with themes – but it already took me most of Saturday to find this one. Coming soon – I’m moving from Drupal to WordPress.